Harmonix and MTV Games announced the addition of seven new tracks to the Rock Band Music Store catalog of downloadable content, including a 3-pack from Irish hard rock band Thin Lizzy as well as songs from Nikko, Pat Benatar, and The Pretenders. The Thin Lizzy 3-pack features live recordings of "The Boys are Back in Town," "Jailbreak," and "Cowboy Song." The 3-pack will become the first Thin Lizzy tracks to join the Rock Band music library, and are taken from Still Dangerous: Live At The Tower Theater Philadelphia 1977. This newly discovered live album, featuring the quintessential Lizzy lineup—Phil Lynott, lead vocals/bass; Scott Gorham, guitar; Brian Robertson, guitar; Brian Downey, drums—showcases the band at the height of its prodigious powers and will be released on VH1 Classic Records on March 3, 2009. Rock sensation Pat Benatar makes her Rock Band debut with the popular single "Hit Me With Your Best Shot." This week's lineup also includes "Precious" from The Pretenders, as well as "Break My Heart" and "Don't Tell Me" from Nikko as featured in the movie Spectacular! The Pretenders' songs "Brass in Pocket" and "Blue Christmas" were added as downloadable content last year. U2, Kid Rock, Robert Plant & Alison Krauss, and Rihanna are the latest performers announced for the 51st Annual Grammy Awards. They join previously announced performers Kenny Chesney, Coldplay, Jennifer Hudson, Jonas Brothers, Paul McCartney (with special guest drummer Dave Grohl of Foo Fighters), Katy Perry, Radiohead, Justin Timberlake, Carrie Underwood, and Jay-Z, Lil Wayne, T.I., and Kanye West in a special performance of their hit single "Swagga Like Us." Presenters include actor Simon Baker (CBS' "The Mentalist"), actor/musician Jack Black, Duffy, Josh Groban, Charlie Haden, actor Samuel L. Jackson and Gwyneth Paltrow. The music industry's premier event will take place live on Sunday, Feb. 8, at Staples Center in Los Angeles and will be broadcast on CBS from 8-11:30 p.m. EST. Additional performers, presenters and special segments will be announced soon. 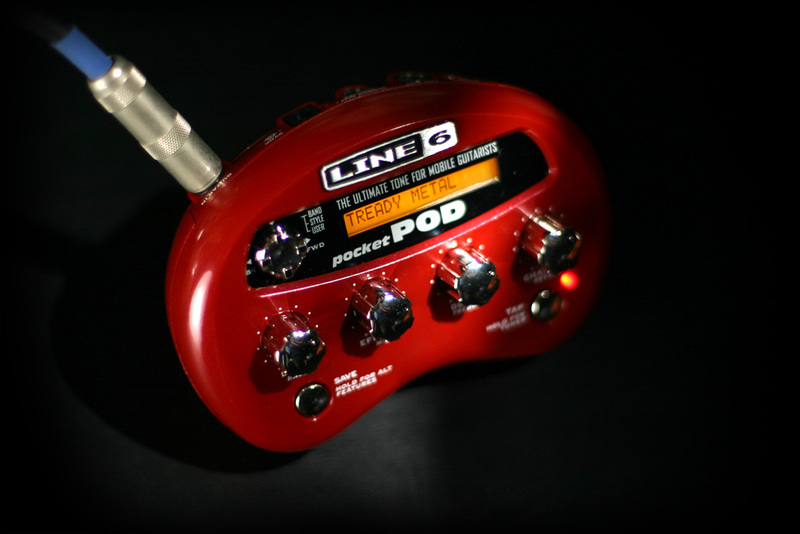 Line 6 is proud to announce the release of Pocket POD Pack. Pocket POD Pack delivers the ultimate Pocket POD experience at an incredible price by including Pocket POD, the #1 portable multi-effect unit on the market, with a complete set of essential extras. Pocket POD puts legendary POD tone in the palm of guitarists' hands with 32 fully adjustable classic and modern amp models, 16 cabinet models and 16 essential effects. It features many of the same immortal POD tones that have appeared on countless multi-platinum albums, including presets that were professionally dialed in by such artists as Maroon 5, P.O.D., 311, Hoobastank and others. Jam-packed with essential extras, Pocket POD Pack includes Pocket POD, a 1/4-inch guitar cable for connecting a guitar to Pocket POD, a 1/8-inch auxiliary cable for connecting an MP3 player to Pocket POD, earbuds for silent practice, a DC-2 power adapter, a USB cable, and a CD-ROM that’s loaded with jam tracks and Pocket POD tone-editing software. For more info, visit www.line6.com. Ray LaMontagne announced his first North American tour dates of 2009 today, starting April 2 at the Wellmont in Montclair, NJ, and ending April 30 in Miami. The tour is LaMontagne's second in support of his latest album Gossip In The Grain which achieved the Maine singer-songwriter's highest chart number debuting at #3 on Billboard charts its week of release. The album was a huge digital sensation being the top-selling album on iTunes that first week. Fans will also be given the opportunity to buy front row seats and support charity through Tickets-for-Charity. A portion of each package purchased through their website will automatically benefit The National Children's Cancer Society, while purchasers will be able to donate further proceeds to a wide variety of other charities. Low Anthem will open April 2-15, with Jessica Lea Mayfield opening the shows April 17-30. After a stellar 2008 that found the band's most recent release, Watershed, atop many critical best of" lists, Swedish metal gods Opeth will return to the US for a third tour run. The tour –their third in support of Watershed, which earned the band the best reviews of its career— will kick off on May 1 and will be sponsored by Decibel Magazine. Enslaved have been confirmed as the supporting act. "Guitar Hero: Metallica" Track List Revealed! Metallica have released the track listing to the upcoming Guitar Hero: Metallica video game, which hits streets March 29. The Metallica version contains cool features like different classic venues such as the L.A. Forum, Tushino Airfield, and The Hammersmith Odeon; the ability to play as Metallica or in single instrument mode; and even the Expert+ setting with double bass drum kick pedals. In addition to the Metallica tunes listed below, the game will feature songs from other hard rock and metal artists.